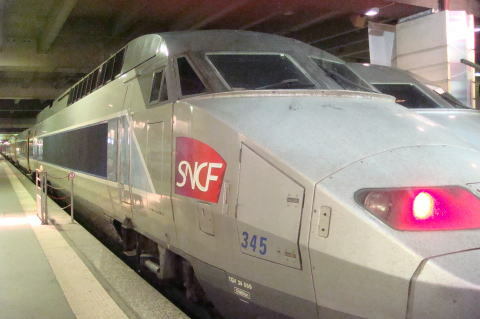 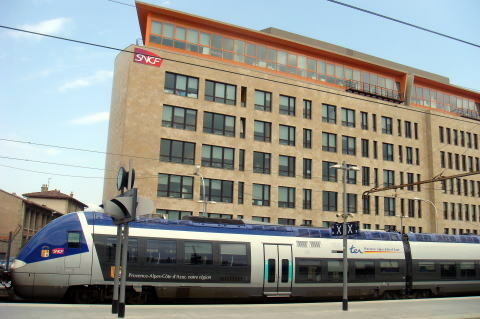 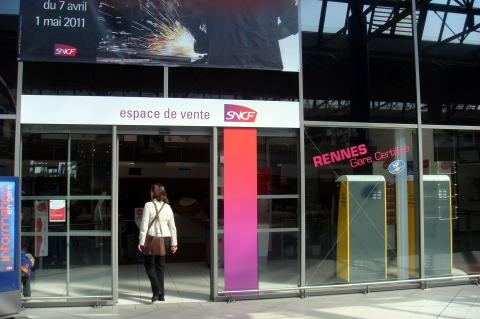 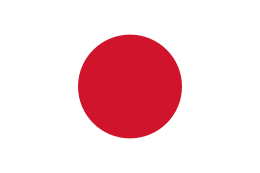 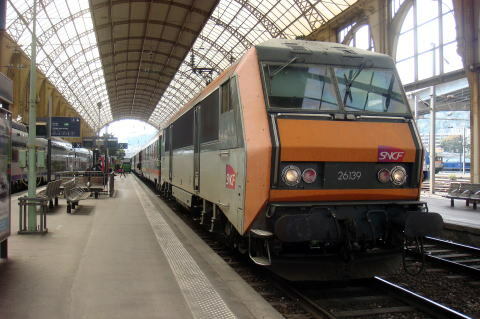 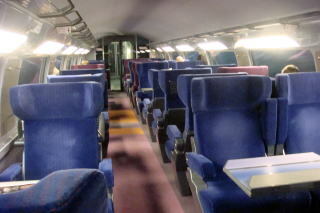 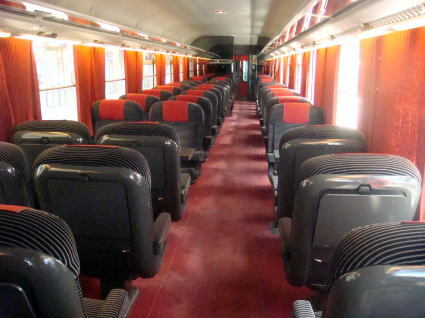 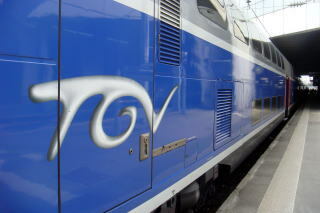 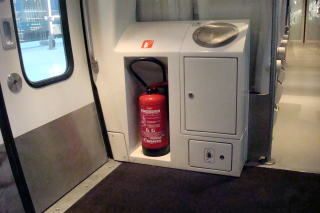 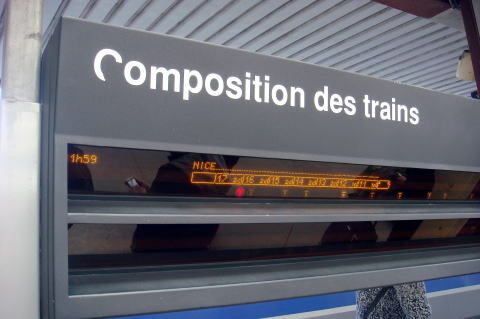 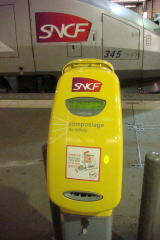 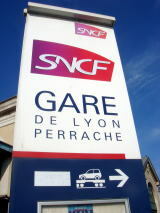 The SNCFrench National Railway Corporation, is France's national state-owned railway company. 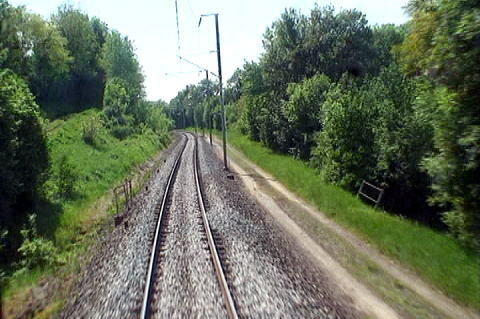 1,800 km are high-speed lines and 14,500 km electrified. 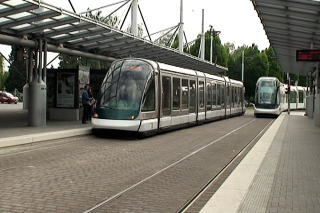 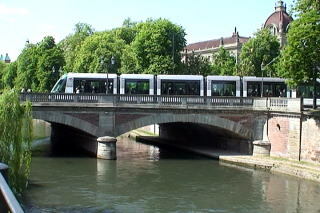 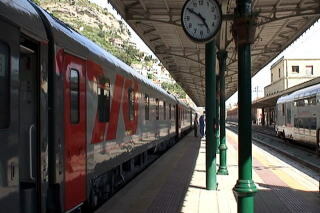 About 14,000 trains are operated daily. 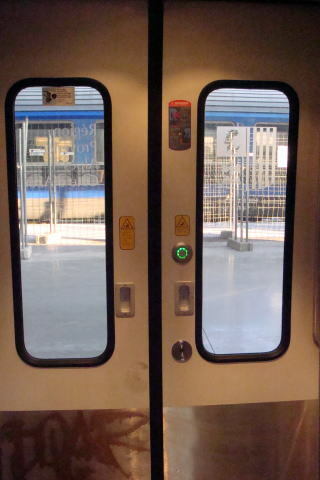 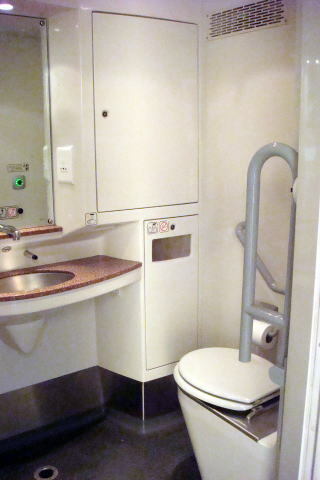 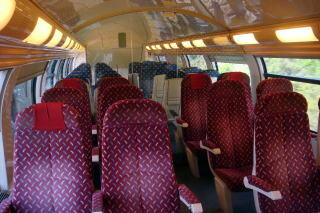 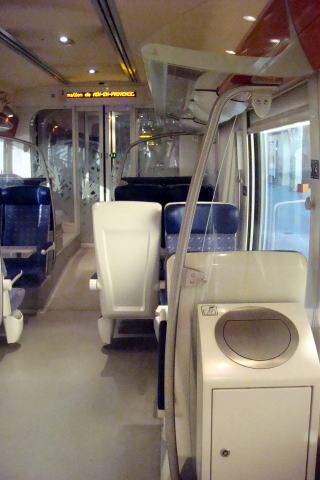 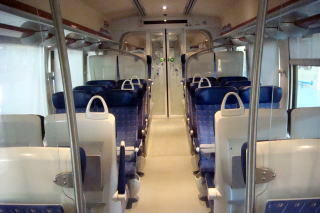 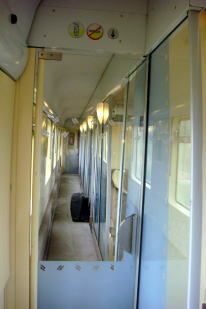 (L) A first-class TVG train with a compartment seat (M) A conductor is checking passenger's ticket. 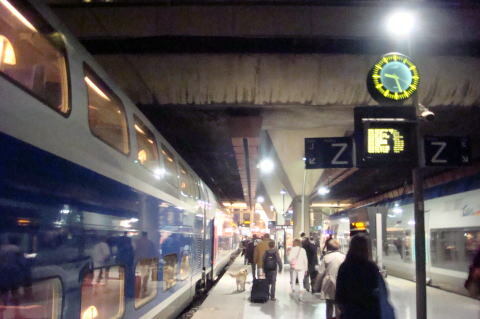 TGV train arrived at Marseille station at night time. 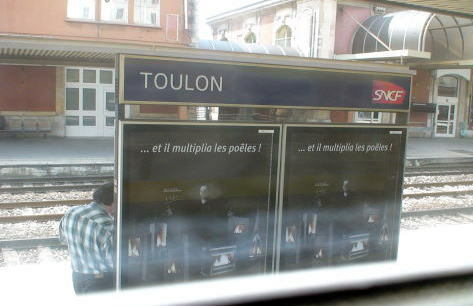 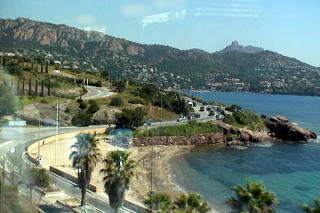 (L) A fertile soil along the railroad in France (R) TGV train stops Toulon, well-known a large military harbour on the Mediterranean. 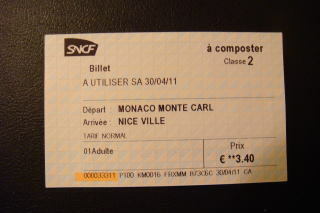 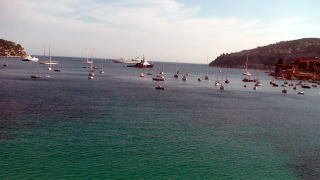 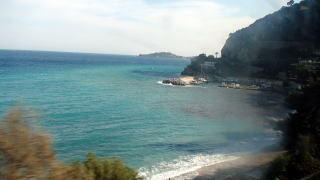 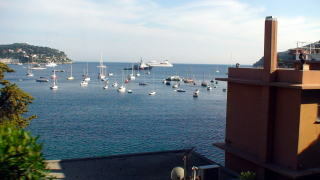 A blue Mediterranean sea stirs train-passenger's imagination of a good life on the beach line, between Nice and Monaco. 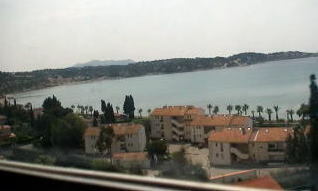 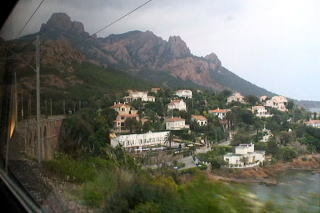 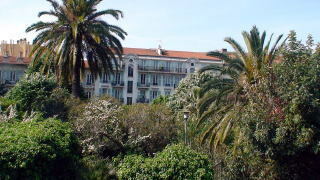 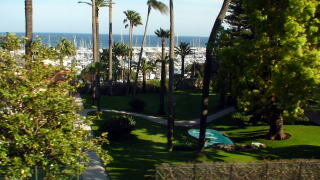 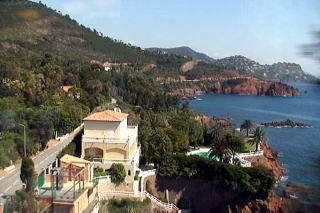 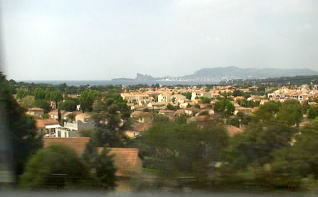 A blue Mediterranean sea and residences, viewed from the SNCF train. 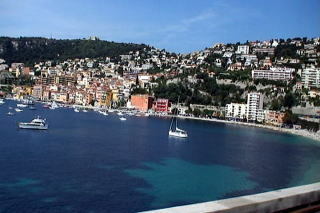 Is it a good lifestyle to live on the land of a blue Mediterranean sea? 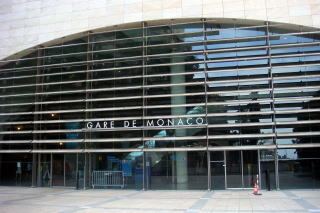 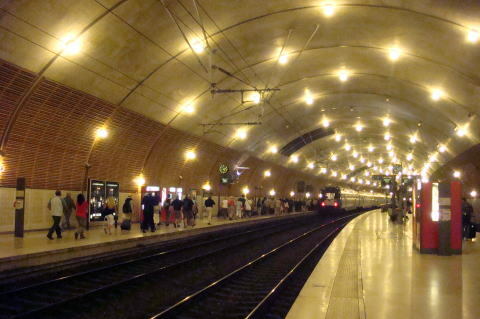 A sparkling light like a diamond is seen at the underground station of Monaco. 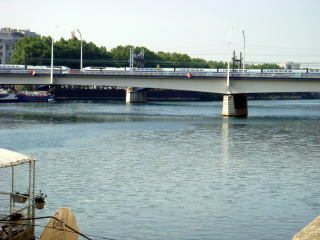 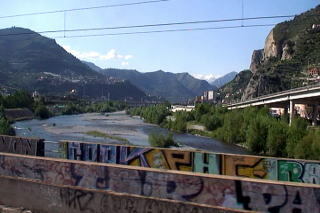 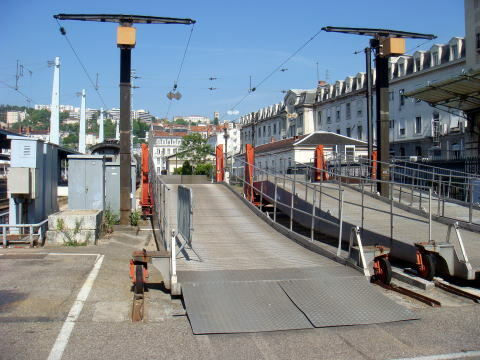 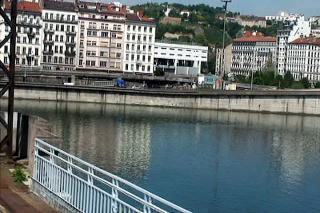 (L) Roya ( Roia ) River, which forms the borderline between France and Itary. 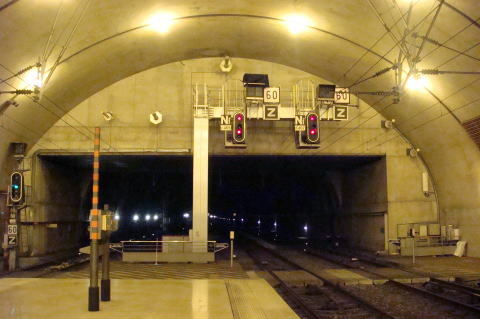 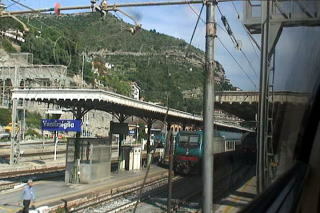 (R) Ventimiglia station, located in Italy, the border city between with France. 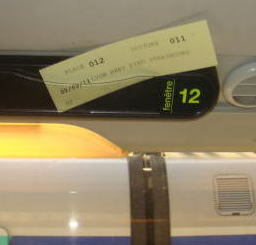 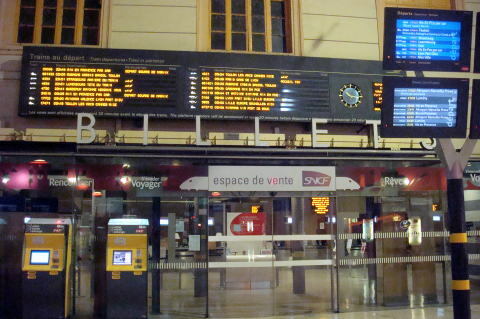 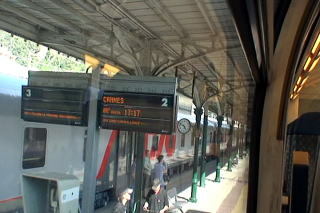 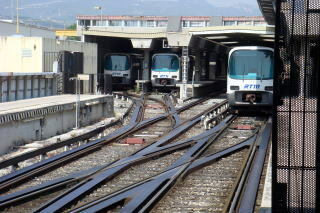 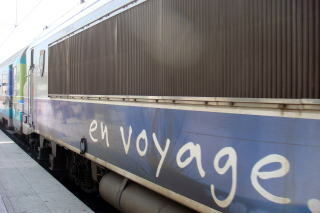 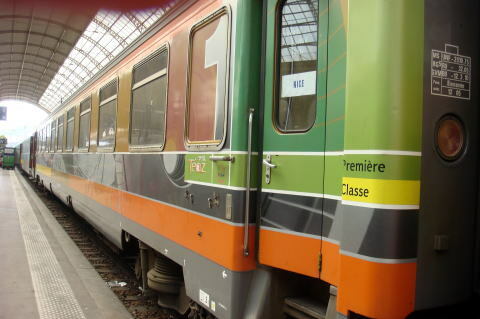 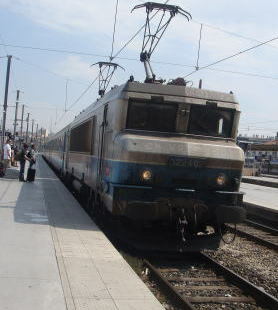 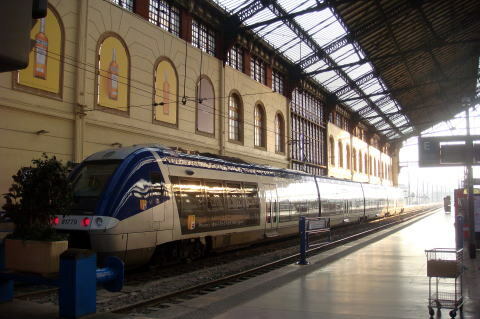 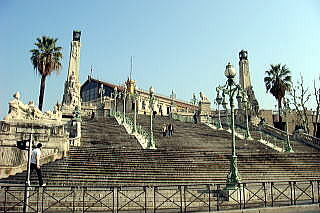 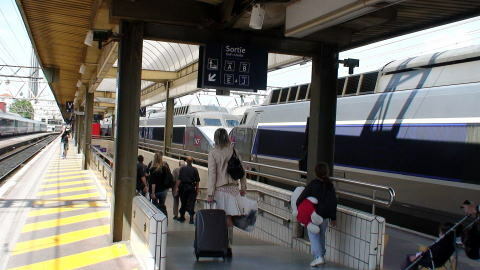 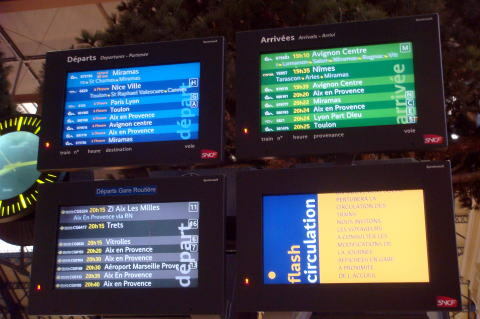 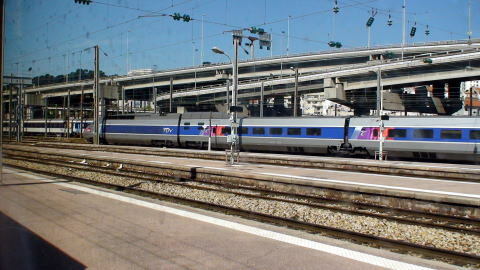 French train services to and from Ventimiglia are operated by SNCF. 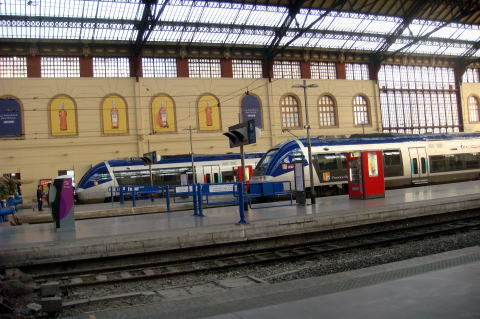 Gare de Nice-Ville and an arrived long-distance train. 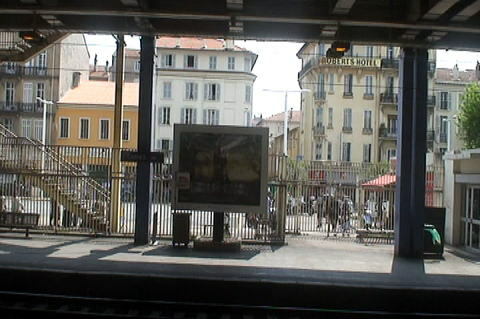 Trenitalia trains connect the Nice district with the Italian cities, like Milan, Genoa, Roma and Venice. 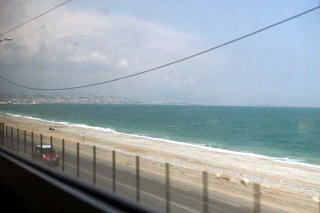 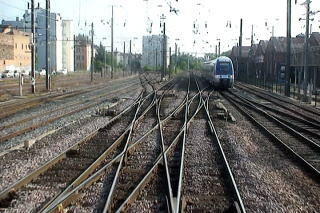 (R) A railway track runs in parallel to the long beach line at Mediterranean sea. 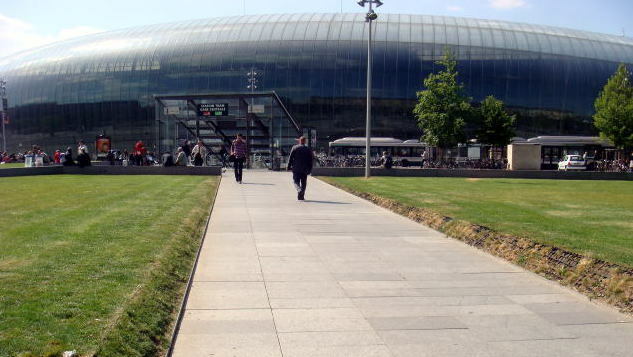 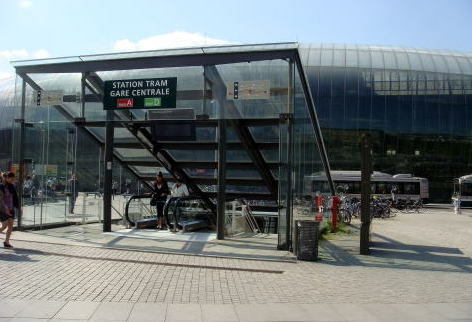 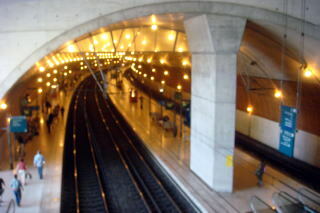 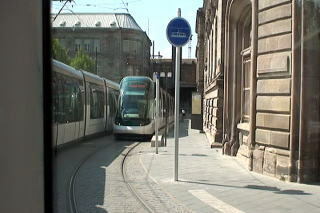 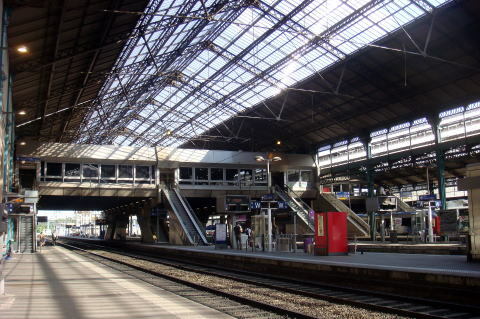 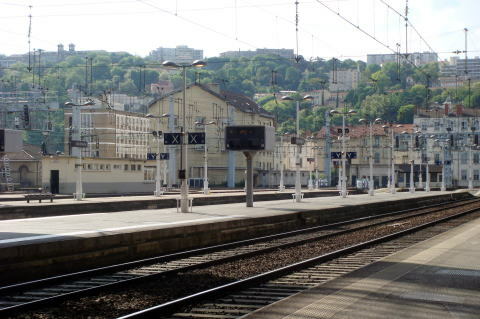 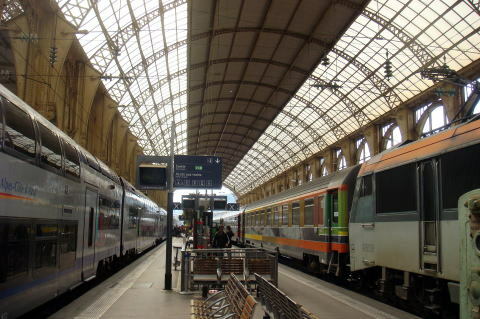 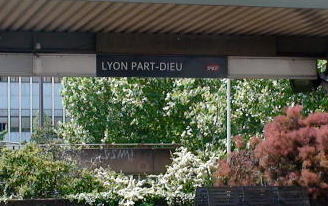 A plateform of Lyon Perrache station, which is covered by two twin iron rooftops. 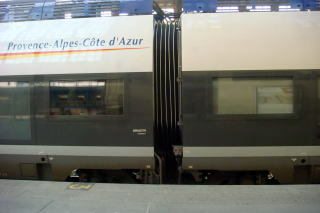 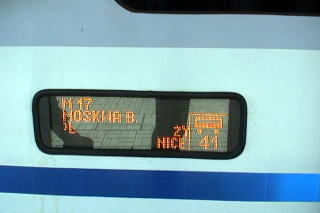 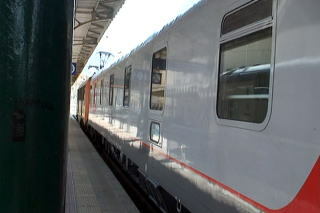 of the regional and long-distance rail services. 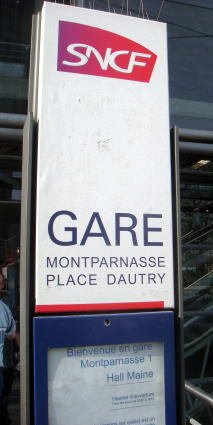 Gare de Lyon Perrache is the station for Auto-Train. 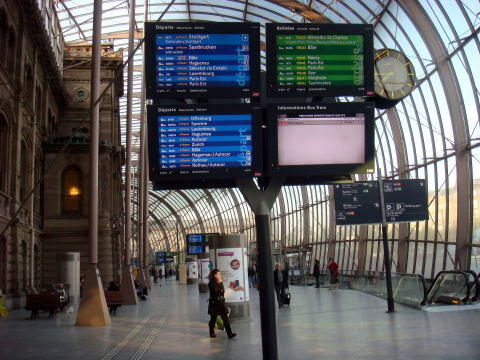 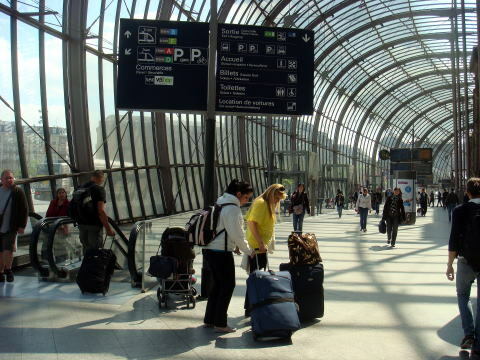 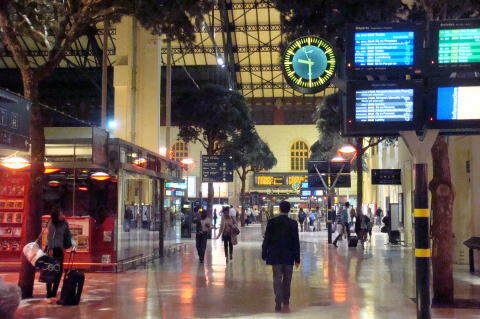 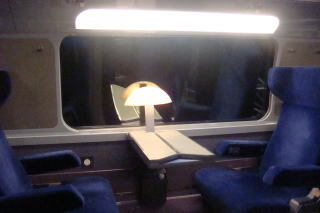 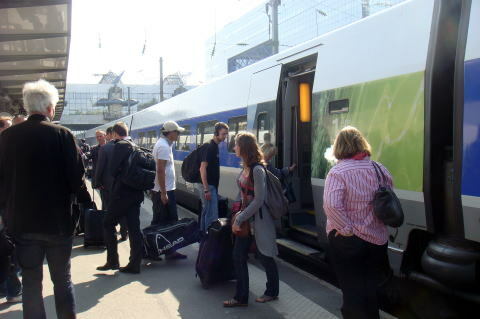 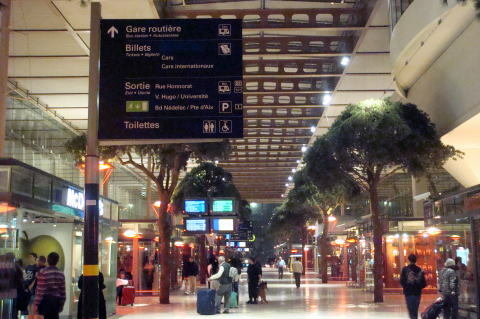 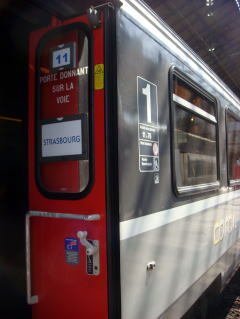 A train to Strasbour starts from Gare de Lyon Perrache. 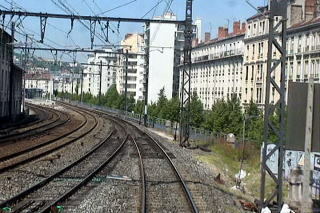 (L) Gare de Lyon Perrache and railways (R) A rail track is crossing a bridge of Rhone River. 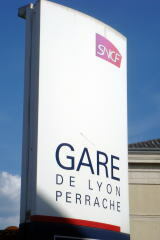 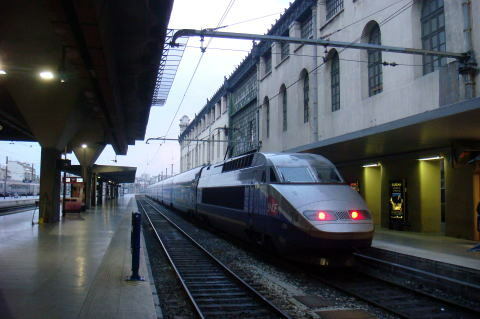 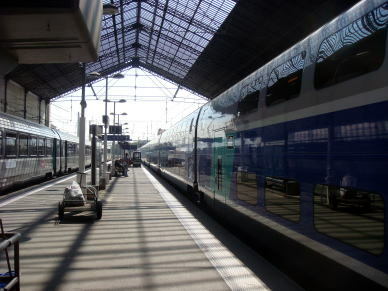 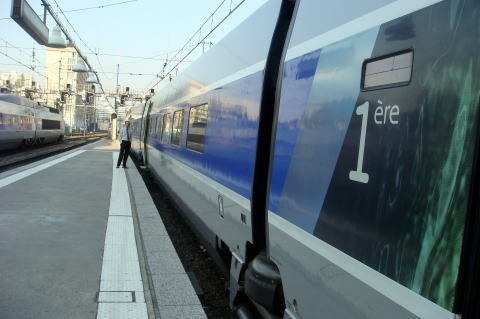 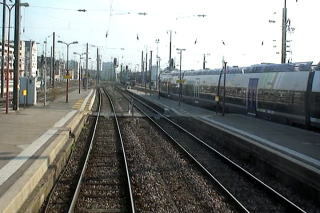 TGV train is running between the stations of Gare de Lyon Perrache and Gare de Lyon-Part-Dieu. 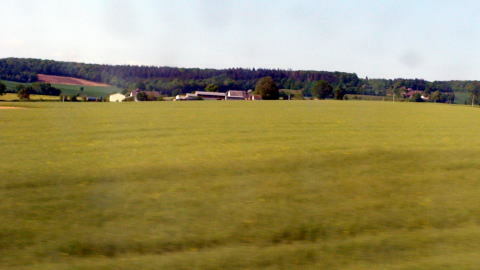 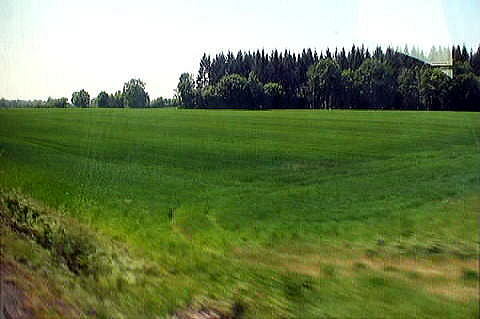 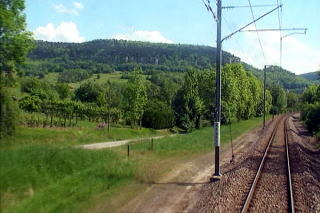 (L) A rich in green field along the railway track (R) There is a single-track railroad between Lyon and Strasbourg. 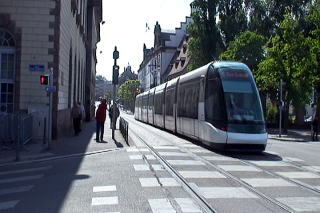 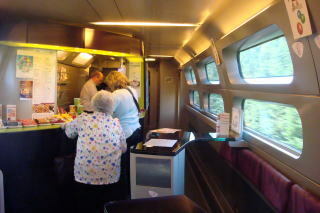 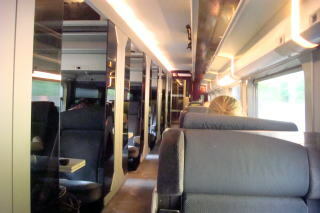 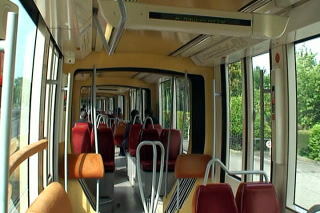 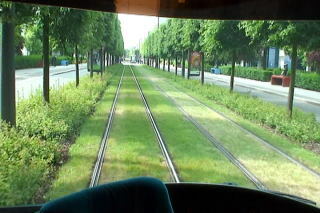 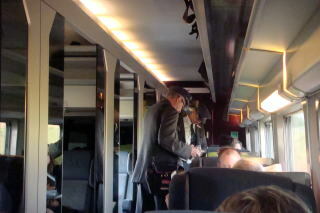 As we approached Strasbourg, the single-track line becomes double-track line. 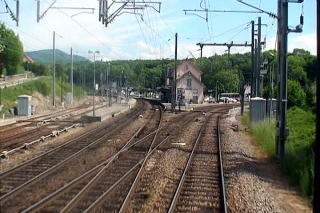 Like in Germany, a SNCF train runs to the right, here. 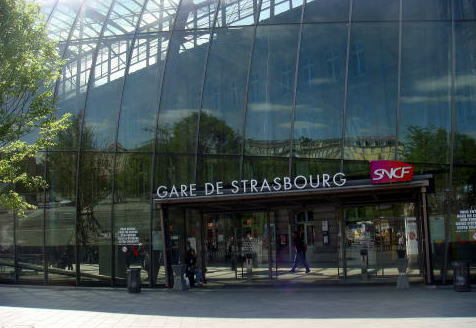 Gare de Strasbourg was renovated in 2007, added the framework of glass, so that this station seems like a jewel, which shines hit by sunlight.